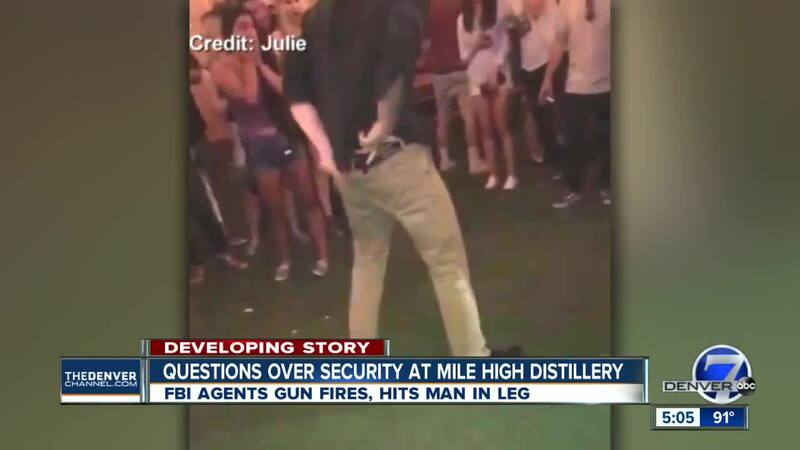 DENVER – Police say the off-duty FBI agent whose gun discharged at a Denver bar early Saturday morning could face charges depending on the results of lab testing. 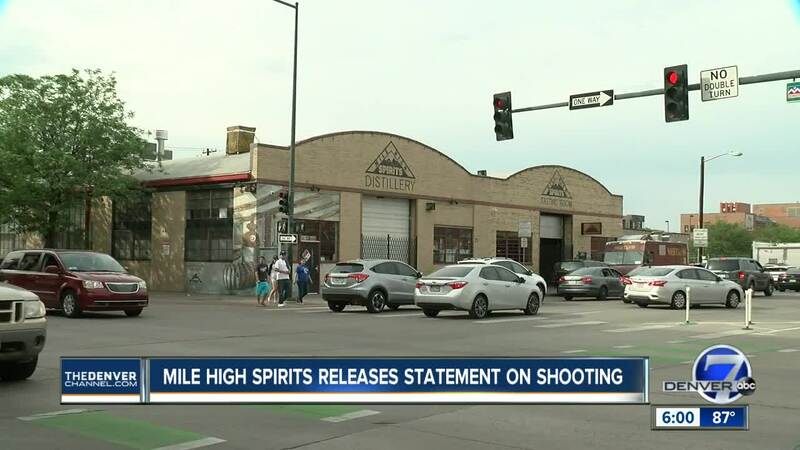 The Denver Police Department on Monday said it was still investigating the shooting that happened at Mile High Spirits around 12:45 a.m. Saturday and asked any witnesses who had not spoken with officers to call them at 720-913-2000. The agent's name was learned late Monday evening. According to ABC News, Chase Bishop, 29, was in Denver for FBI training when the incident occurred. He has since left the city. Joe Deedon, owner of TAC One Law Enforcement Consulting in Denver, said while off-duty agents are permitted to concealed carry in bars, even if there are posted signs prohibiting the practice, they should not be drinking in those situations. "It falls under prohibited use of a weapon," Deedon said. "You don’t have to show the same signs of say being intoxicated while driving a vehicle on a DUI. If you're just a little impaired, even if not legally intoxicated, you could face a misdemeanor charge. The way the statute is written – it’s open to interpretation. We don't even have to take blood or urine samples." The district attorney’s office will determine whether or not Bishop will face formal charges. Sources familiar with the matter tell ABC News that agency has not provided Bishop with an attorney. Bishop "will be held accountable," one FBI official said. However, the FBI official insisted that this agent's "stupid" actions should not tarnish the reputation of an agency that just this past week helped stop a man who planted bombs around Beaumont, Texas. The agent was taken in for questioning by police after the shooting and turned over to an FBI supervisor. 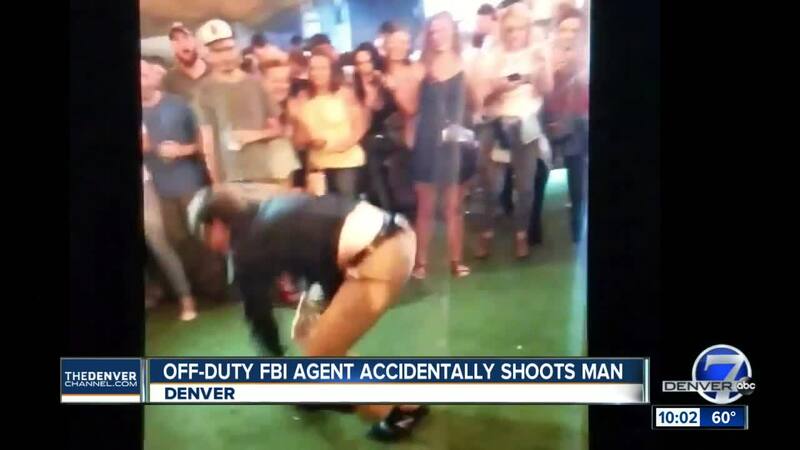 Video obtained by KMGH shows the agent perform a backflip while dancing at the bar, at which time his weapon falls from his waistband. When he goes to pick it up, the weapon discharges. It hit one person in the leg, who suffered non-life-threatening injuries. "At Mile High Spirits, we pride ourselves on being a craft distillery with high quality products and an engaging customer experience, in a fun and safe atmosphere. It is shocking that the only shooting to ever occur at our establishment came about as a result of an FBI agent entering our distillery tasting room carrying a loaded firearm without our knowledge, in violation of our rules. As a result of his misconduct, one of our innocent patrons was shot. "Our security team was able to execute a catastrophic event plan, ensuring, safe exit of all patrons in the establishment after the shooting. We are deeply saddened by the events that occurred and look forward to speaking with representatives of the FBI, so we can come to understand his presence and his need to be armed in our establishment. The whole team at Mile High Spirits is praying for the victim’s quick recovery, and he’s welcome at Mile High Spirits to enjoy complimentary drinks forever." Russell Haythorn contributed to this report.